This week, I have another fun children's book to share with you all. 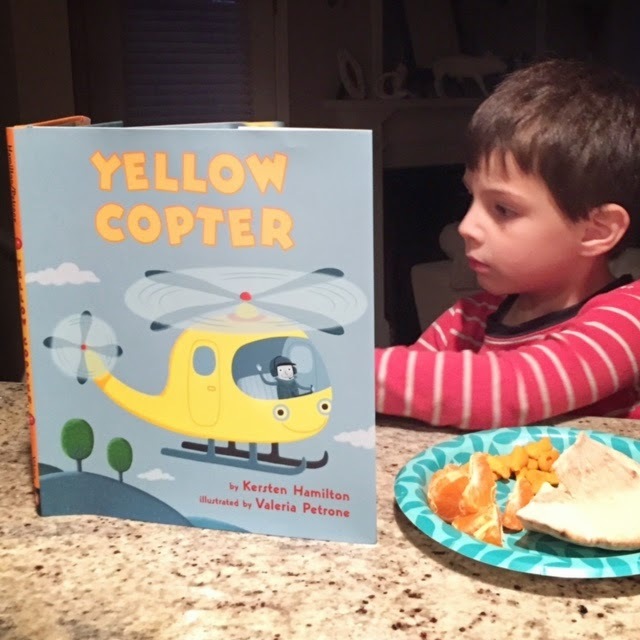 Yellow Copter written by Kersten Hamilton and illustrated by Valeria Petrone shares the story of a rescue helicopter that saves the day by bringing a school teacher stuck at the top of a ferris wheel back to safety. 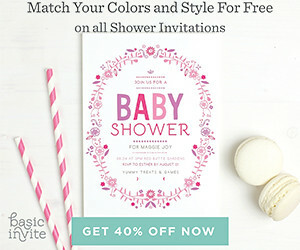 Filled with colorful illustrations and catchy rhymes, this book is perfect for children learning how to read and fun for parents to read to their little ones. 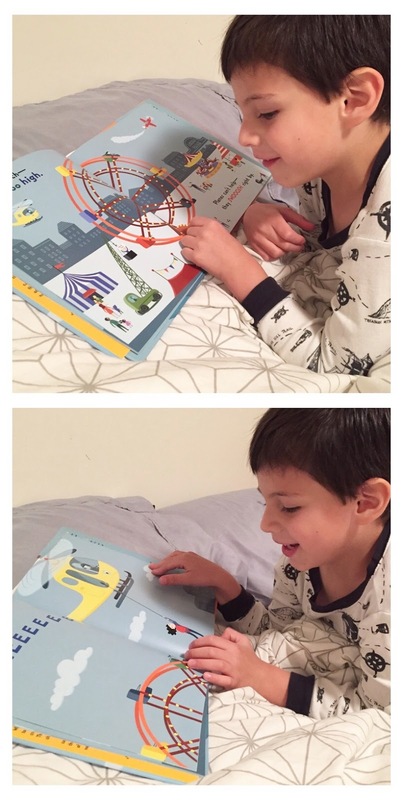 Jack loved it so much, the first time we read it together, he ask for it to be read four times in a row. We've read it every single night since monday! This book is hitting bookshelves on May 19 but you can pre-order yours today.